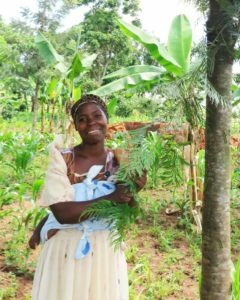 Rachel Wangwa is a young woman in the Mbale region of Uganda who is benefitting from the tree planting projects in the area. Lowri Jenkins, who previously worked with Size of Wales as the charities campaign manager writes about her time with Rachel upon visiting the 10 million trees project. Author: Lowri Jenkins, Previous Size of Wales campaign manager.